Jesse James | "clever, well-informed people"
And the novel is equally so. Gil Adamson’s review calls it “bright and brutal”, and that’s just about perfect (other authors do such a better job than I can deciding how to write about books). The style is spare…characterization is slight but the reader still feels deeply about the characters. Even the ones who are stereotypical are treated carefully. 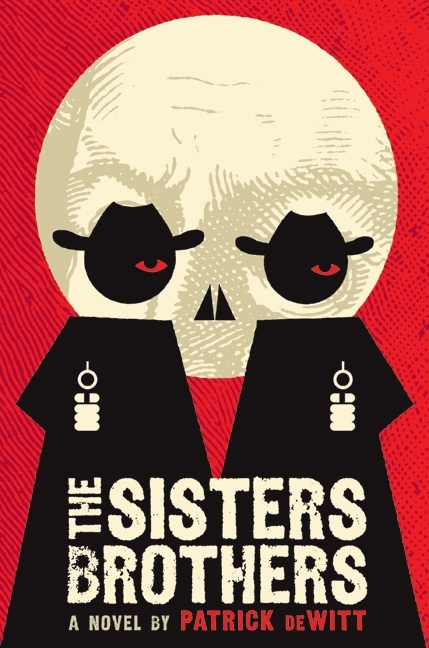 The other day I read someone considering the question of whether a character can “go round corners”–ie, your imagination of their existence doesn’t end when they’re no longer being discussed on the page–and I definitely want a book for many more of the characters in The Sisters Brothers, telling me what they were doing before and after Charlie and Eli were in their lives. And Charlie and Eli, the homicidal Sisters Brothers, are masterfully drawn. Their adventures and their interaction are incredibly engaging; and the conclusion suggests that maybe there’s more magic in our lives than we notice, and it’s all about doing the best we can with what we’ve got. Then I turned to Jesse James’ memoir, American Outlaw, and his story certainly suggests the same. He’s much more well-read (Bukowski? Who would have thought Jesse James has a signed set of Bukowski’s books?) and thoughtful than I expected. Both the Sisters’ and James’ stories show how much of our personality (the exterior one, anyway) is determined by how people interact with us, while neither story makes excuses for having to make difficult personal choices. James was big and bulky as a kid, so people immediately treated him as “the tough guy”, a pattern set for the rest of his life, even when that might not have been the best fit. And he writes heartbreakingly honestly about the failure(s) of his marriage(s). I really only knew about James from Monster Garage those few years ago, but anyone who’s remotely interested, I think, would find something to engage them in this book.